PCTEL Maxrad MLB lowband antennas are the antennas most used by our nation's State Patrols, US Forest Service, Bureau of Land management, and many other state and federal natural resource departments. Professional quality, reliability, and performance you can count are at the heart of the MLB2700 antenna. The Maxrad MLB2700 is a 27-31 MHz Coil & Rod CB Radio Antenna providing superior performance for 10 and 11 meter radio operators. The Maxrad MLB2700 NMO CB Antenna can be mounted just about anywhere on your vehicle. The best performance with MLB antennas is typically experienced when mounted on the center of the roof of a car or truck. The MLB2700 Quarterwave antenna is 4 feet long and compatible with all NMO 1-1/8"-18 thread mounts, including 3/4" mounts. The PCTEL Maxrad MS Chrome Spring is specifically designed to integrate with the MLB2700 NMO antenna. Not sure if you're chosen antenna needs an accessory spring as part of the install? 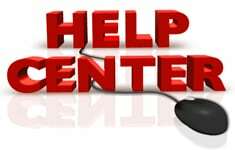 CB World's help center is the resource you can count on to get your question answered. Be sure to consult the CB Antenna Springs guide before purchasing and installing your CB antenna. The coax cable is the most often overlooked component in any mobile radio installation. The MLB2700 uses an NMO mount that is often pre-soldered on an assembly like the PCTEL BMA mount and coax. The MLB2700 is a field tunable stainless steel whip lowband quarter wave antenna. To ensure the performance of this antenna with your mobile radio tuning the standing wave ratio is required. CB World's excellent resource on Tuning your CB Antenna has the information on how to accomplish this important part of the radio install. Looking for the replacement whip for the MLB2700? Check out the MATH.